Add the Sensor QML types into your qml file. 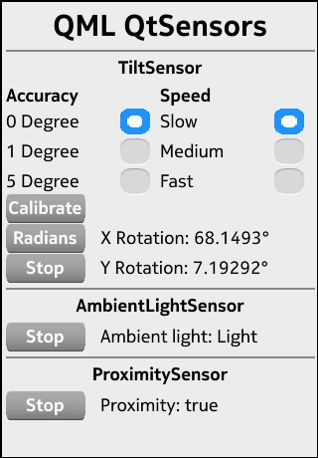 The Tilt-, AmbientLight- and the Proximity QML sensor types have the 'enabled' property in common. To start or stop the sensor set this property to true or false.